Vent Frais is the voice of the French Language Villages and programs. Allons dans le grand vent! 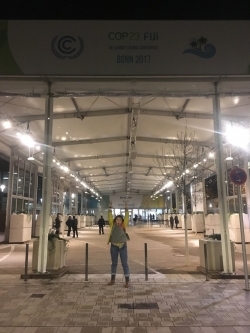 ​Voyageurs and Lac du Bois alumni, Espoir, attended the UN Climate Conference in Bonn this past fall. It was an opportunity to connect the dots between her grassroots work and the ways that her camp experiences have empowered her to make herself at home in any setting - even among UN delegates from around the world. New French Immersion Summer Sessions for Adults!